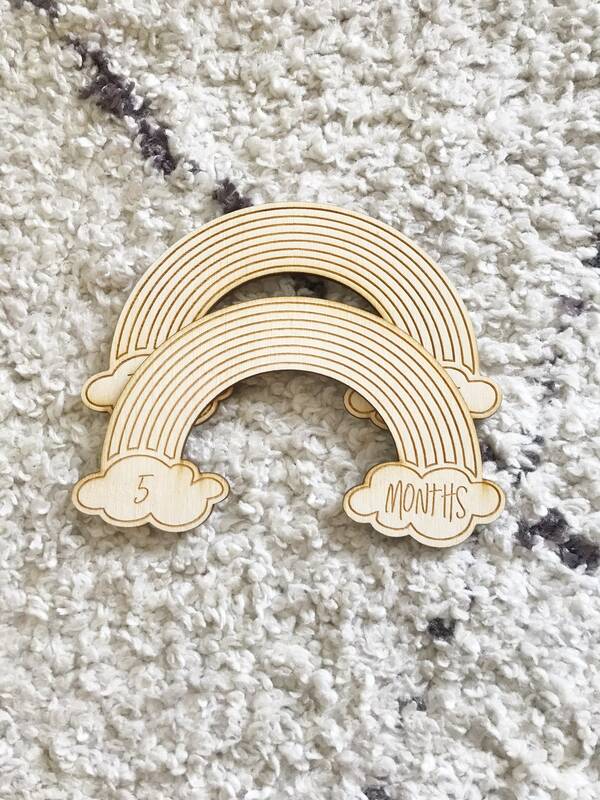 Perfect for the rainbow baby in your life! Time flies by which means are littles are growing like sprouts every minute of every day. One thing I did with my little one was take photos of him every month next to his favorite stuffed animal to show his growth and to capture his monthly milestones. Now, laser cuts have taken our little photo moments to a whole new level. 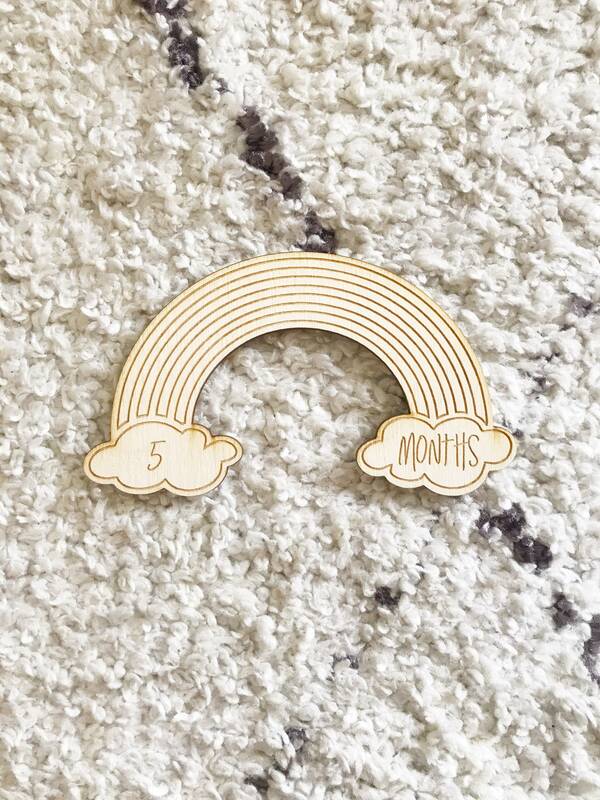 These Rainbow Monthly Milestone Pieces are the perfect photo prop for our monthly photos to capture our baby's growth and cuteness. We hope you love them as much as we do! Items are custom made to order and due to the nature of wood, grain lines and overall appearance will vary slightly from piece to piece. Turnaround time is approximately TWO WEEKS after order date.